Welcome on the official site of the kiwi team. posted by MikaYuoadas the 20/10/2009 at 10:17:34We're back !!!!! posted by Shift the 15/01/2009 at 21:13:26We made it ! Tremulous is a fps which uses the Quake 3 engine where 2 teams can be chosen, humans and aliens. The two teams are able to build structures with buildpoints, which are vital to obtain victory. 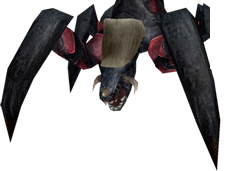 The goal of Tremulous is to eliminate the other team with all their spawns. For more information on Tremulous, go to our reserved page with all sorts of information of this magnificent game ! There was one time ... the Kiwis! The team was created by Shift and Pistorm who have seen their team explode. We have not stopped with growing and evolving since. Some depatures, but also a lot new kiwis arrived. 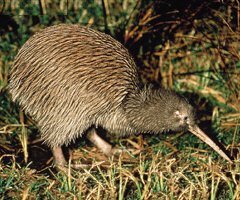 Currently kiwi excists for more than two year and stays active on Tremulous. Today, the kiwi team is still alive and kicking, they even go invade the neighbor lands. We recrute french players, but also people from Italy, Belgium and why not from other lands too? Oops... You went too low, go back up a little to see ! !